Back in March I spent a weekend out at a campground playing board games with my husband at the annual Board Gamers of Great Akron (BOGA) retreat. It’s a great time for me to not only play my favorites (Carcassonne, for example), but also get some down time to read/write/play KOTOR II while my husband is playing games that I have no interest in (typically games that are long, strategy-based, or social deduction). During one of those times, I got pulled into a group playing a new game: Mysterium. It’s a European game (the English version will be out this year) that was billed to me as a cross between Dixit and Clue, but cooperative. How could I say no to that?? A murder has been committed, and the victim’s ghost is sending clues to the players via their dreams to help them figure out the weapon, location, and perpetrator of the crime. The “ghost” player, who can’t talk, gives each “dreaming” player a picture every round to try to hint at one of the answers (it’s different for each player). But the pictures are basically like Dixit cards, so the clues are never straightforward, and what you infer from it may be completely different from what the ghost intended. The images can be very detailed, and range from bizarre to slightly creepy. This is actually a Dixit card, but same idea. You: Oh, I think my clue is for the poison, because it’s a liquid and this card has a lot of water. Other player: Or it could be the fork thingy, because the backgrounds are the same color blue. 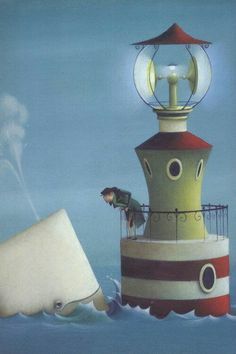 You: Actually, I’m leaning toward the candlestick now, because it’s a lighthouse, so kind of like a candle. You have a limited number of “nights” in which to guess, but if all the players guess their individual weapon, location, and person cards correctly, they have one last night where the ghost tries to tell them which suspect was the actual murderer. The people I played with say that pretty much no one ever “wins” this game, but I’m pretty sure nobody cares. The fun is just sitting around for an hour bickering over the minutia of the dream cards and watching the ghost try to not throttle the other players. Actually, having the ghost be two people is not a bad idea if you have lots of people; the game already plays 2-7 people. If you want to play some games like Mysterium in the NE Ohio area, stop by BOGA every 2nd Friday and 4th Saturday at the Quirk Cultural Center in Cuyahoga Falls. A board game retreat?? OMG, I should see if there’s one in my area. I love board games but my husband hates them so I never a) get to play, and b) get introduced to new games. Sounds like fun! I bet there is! Or at least meetups of some kind. You should look into it! I agree; board games are so much fun! 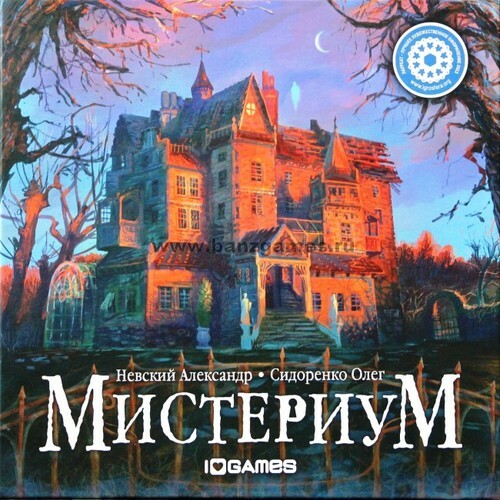 Mysterium sounds intriguing. It was very fun! I tend to like games that are not so serious and competitive.